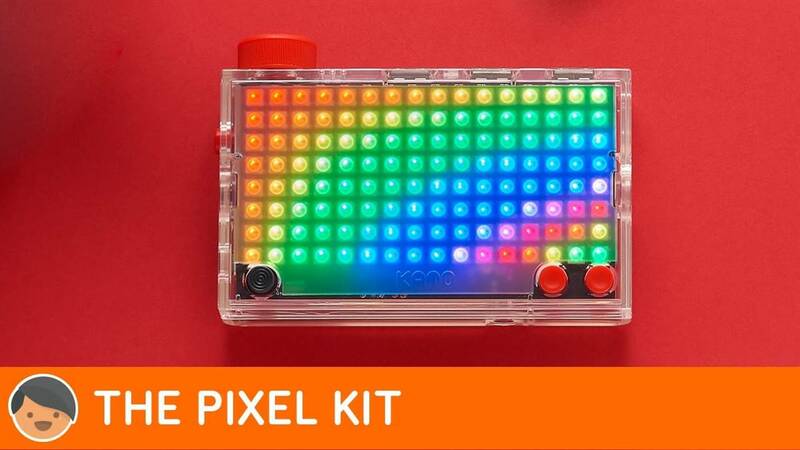 Pixel Kit. Build and code 128 dazzling lights with 16 million colors. Paint pictures, make animations. Learn to code games, live data, weather apps, sports tickers and more. Perfect for beginners. Pla. Make and code dazzling lights. Build your own games, animations, art.Please note: Items not in stock will be backordered. Processor: 1.2GHz quad Cortex A53 - 64bit. Connectivity: 4 USB ports, 802.11n Wireless LAN, Ethernet Port, HDMI. Keyboard: 15m wireless Radio Frequency, 40h battery life. Build and code 128 dazzling lights and 16 million colors. Comes with step-by-step book, lightboard, case, buttons, lanyard, and free Kano app. Endless play with Kano World. Remix 500,000+ creations made by a creative community.